Note: This information is available in an alternative format upon request. E-mail the DNR Information Center at [email protected] or call at (651) 296-6157 or (888) MINNDNR. 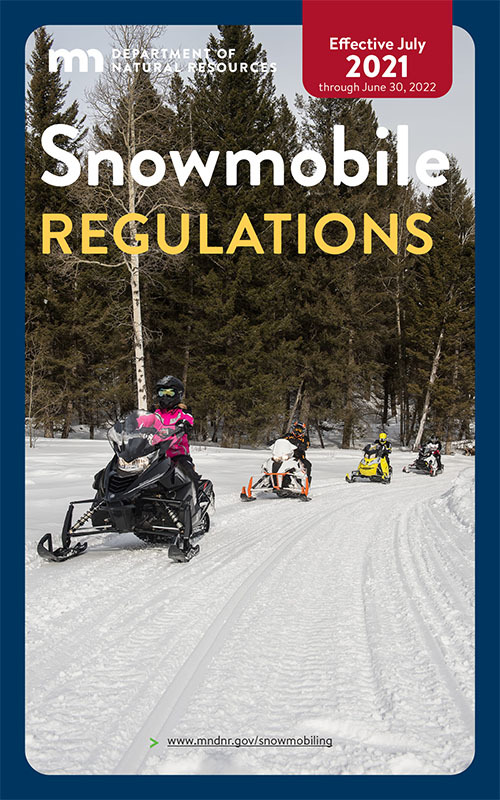 This document is a synopsis of the state snowmobile laws and regulations. For complete snowmobile laws and regulations, consult Minnesota Statutes and Rules.